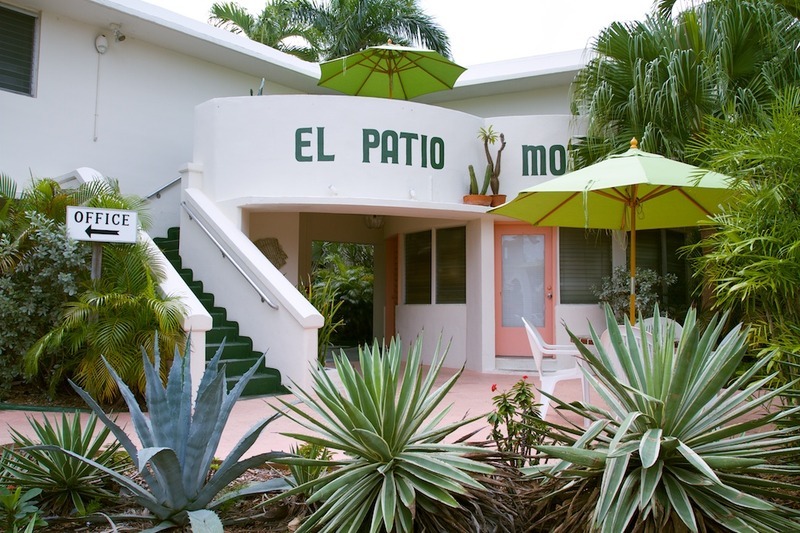 El Patio is a clean and modest 30 room motel designed in the 1950's Art Deco style, located in a pleasant residential neighborhood in Old Town Key West. Our rooms feature original Cuban tile floors and jalousie windows, both of which have been appreciated and enjoyed by Key West residents for many generations! We have a swimming pool on the ground floor, as well as a rooftop deck for sunbathing and stargazing! We also have free parking for guests. We are a simple, yet charming place. We do not offer lots of extra "frills" which allows us, in turn, to keep our rates affordable for you, by Key West standards. Remember, this isn't the mainland! We are located on the Atlantic side of Old Town Key West, 2 blocks from the beach and 3 blocks from world-famous Duval Street. Shopping, fine dining and sightseeing are all within walking distance. Our front desk staff is happy to help guests enjoy the best that Key West has to offer, from dining reservations to fantastic trips on the water. Reservations for fishing, snorkeling, diving, Dry Tortugas, dolphin watch, sunset sails, kayaking, and other unforgettable trips can be arranged for you by our front desk crew. Bicycle rentals are also available on a 24 hour or weekly basis, and are a fabulous method of transportation to explore our island! There's nothing like navigating our streets on a conch cruiser! Our staff is proud to have a large, devoted following of repeat guests, from the U.S. and abroad, who love the simplicity of our place and appreciate both the value and charm that El Patio has to offer.